Wade DeBruin was born on September 22, 2009. Weighing a healthy 7.4 pounds, he was the perfect big brother to his twin sister Hadley. Extraordinary in every way, beautiful, calm and alert. But all of that changed 19 months later, in May 2011, when Wade was diagnosed with Neuroblastoma. Up until then there was absolutely no indication whatsoever that he was sick. He was a magical little boy meeting every milestone and playing right along side his big sister Ella and twin sister. We used to say he had the laugh of a unicorn. It was as magical as he was, lifting up the spirits of everyone who was around him. What defines Wade is his strength, courage and resilience. Wade endured 7 rounds of high dose chemo, 3 major surgeries, 6 minor surgeries, a multitude of medical procedures and nearly 6 straight months in the hospital. His resolution is what has led us to continue his fight by creating awareness to this terrible cancer, supporting families going through treatment to fight it, and funding the most promising research to one day find a cure for Neuroblastoma. On November 12, 2011 Wade's little body could not fight anymore, his little organs were failing and the cancer had taken over. Surrounded by his Mama, Dad, Grandparents, Aunts, Uncles, and lifelong friends, Wade let go in the comfort of his parents arms. For this reason, we acknowledge Wade's Day on his Heavenly Anniversary celebrating life, our ability to care for ourselves and others. 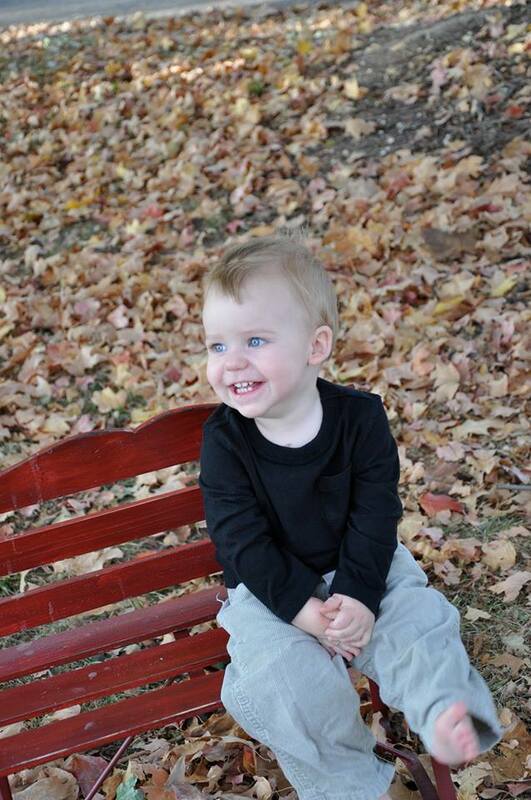 Ethan was diagnosed in February of 2014 with neuroblastoma at 17 months old. Ethan battled through surgery, stem cell treatment, 20 rounds of radiation and successfully beat neuroblastoma. Wade's Army provided financial assistance during Ethan's treatment. Wesley came down with a fever in Jan 2015 and after several misdiagnosis, it was finally determined he was battling neuroblastoma. After five rounds of treatments and putting up a fight, Wesley passed in October 2016. We continue to show respects and Walk with Wesley. On August 20, 2015, 4 days before her 3rd birthday, Imogen was diagnosed with stage IV Neuroblastoma. Imogen fought a truly courageous fight against this horrible cancer, but early the morning of August 2, 2016. On November 13, 2014, 7 1/2 month old Jaxton went to the doctor for what was thought was maybe allergy/cold like symptoms. But after a chest x-ray, a mass was discovered on the left side of his chest. Born January 2015 and diagnosed with neuroblastoma in her spinal cord in December of 2015. She is now 3 1/2 and doing wonderful having check ups every 3 months and follow up scans every 6 months! Addy's family is doing well and thankful she is starting pre-school. Jack is the definition of a Hero. He was diagnosed with neuroblastoma at the age of two and showed up everyday ready to battle in his cape and superhero masks. We continue to honor Jack's Journey and the bravery he represents. Aj was diagnosed in April of 2015 with neuroblastoma and has been through many chemo courses, radiation, surgeries, and the like. Wade's Army provided financial support to his family for transportation during his treatments. The funds raised in 2015 allowed Wade's Army help secure a vehicle for Marley and her family while being treated at St. Jude in Memphis after she lost the use of her legs. In 2016 Marley began treatment similar to the first trial Wade’s Army ever supported. We continue to support Marley in her fight against neuroblastoma. 4 year old Madison driving her car and enjoying being a kid again after a long 13 months of treatment! Diagnosed with stage 3 high risk neuroblastoma July 20th, 2016. Thankfully NED (no evidence of disease since December 2016 and we hope and pray forever! Brandon is an 8 year old first grade boy who was diagnosed with Stage 4 Neuroblastoma just before Thanksgiving 2016. Wade's Army has provided financial support for the family as they travel back and forth from their small town to Brandon's hospital and continue to support Brandon in his fight. On April 15, 2016, Lula was diagnosed with 4S Neuroblastoma, a neural pediatric cancer with a tumor the size of an adult fist in her abdomen which, with the aide of chemotherapy, has steadily been shrinking. As small business owners, Lula's family relies on healthcare options getting more limited each day. Lula is doing well in remission. Vincenzo’s scans just came back clear for the first time ever. His line is out and he is in remission!! He has completed 10 rounds of chemotherapy, 2 rounds of immunotherapy, 2 stem cell transplants, resection, radiation and is now faced 5 rounds of immunotherapy. He started out with cancer in his bones, bone marrow and the solid tumor that was located around his aorta. The majority of the cancer has been cleared but he still has some remaining in his bone marrow. Meet 6 year old Lenny. He's a fighter and a winner. Diagnosed with Stage 4 Neuroblastoma in 2017, Captain Awesome is reporting his test results show NO EVIDENCE OF DISEASE! All of our prayers have been answered. Thanks to all for the prayers love and support! And thank you to his doctors and nurses for the past 14 months! Join the fight below and provide financial support to families battling neuroblastoma to cover treatment, loss of work, and other unexpected costs to allow families to focus their energy on supporting their child.